People who bought iPhone in Japan will be disappointed that the camera shutter sound cannot be turned off even when the phone is set to silent mode. 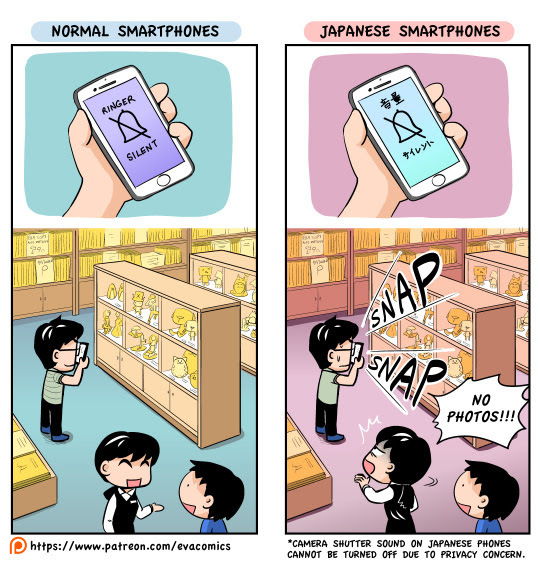 The reason behind this madness is because Japanese are very sensitive about people taking their photos secretly, so manufacturers are not allowed to let users take photos without shutter sound. Unfortunately, other smartphones also share the same fate but I heard that it can be resolved by downloading certain apps, which of course is a bit of a hassle.